Well said, Tony. Even Bruce was impressed with your insight and knowledge. 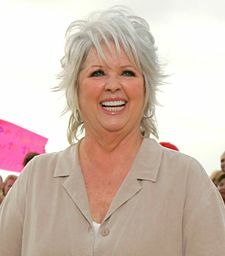 I have no empathy for people like Paula Deen, who ignorantly hate people because of where they come from, the color of their skin, their sexuality, religion, clothes they wear or whatever ignorant excuse for hate that they spread. I especially despise those who try to hide their hatred in order to profit from those they hate and anyone else they can deceive. Paula’s tears and false cries for forgiveness are worthless. She will need to get that from her maker (who knows what is truly in her heart) and her victims. She spoke the truth in saying “I is who I is” and we all know what that is.